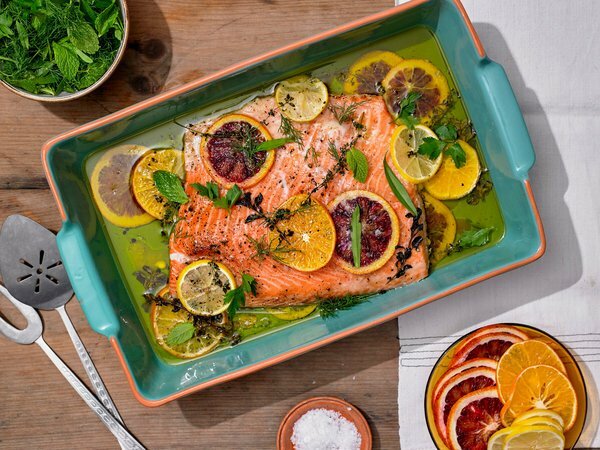 Drizzle everything with olive oil an bake until salmon is just turning opaque around the edges and is nearly cooked through, 25 to 35 minutes. Toss fresh herbs with 1 tablespoon lemon juice, 1.5 tablespoons olive oil and flaky salt. Service alongside salmon.